When producing completely boneless fillets, it is inevitable that good meat is cut away (e.g. when removing the pin bones). Also, fish frames and other offcuts include good quality meat that should be recovered. 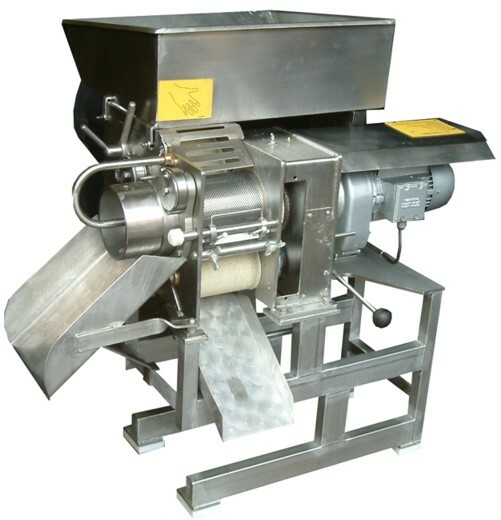 The BAADER 694 bone separator is capable of yielding a high percentage of high quality boneless fish meat from all these off-cuts. Also with manual trimming of the fillets the cuts can now be performed more generously and faster, thus bringing about lower wages cost since the separated sections of fish meat are not lost from the overall productive outputs.